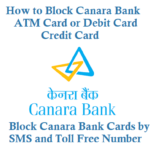 If you are a Axis bank customer and your Axis Bank Debit Card, ATM Card or Credit Card has been lost or stolen then now you can easily block your Debit/ATM Card or Credit card in simple steps, block the card at earliest to prevent from the misuse of your card. 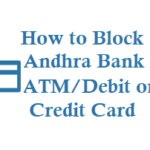 Check below various methods to block Debit/ATM, Credit Card of Axis bank. By calling Axis bank Emergency Helpline Number +91-22-67987700 or 022-67987700, you can block your card, before dialing keep ready your bank account number or ATM Pin, or Debit Card number. Block Axis Bank Debit card by login to Internet Banking account and select ‘Block Card’ option in the Debit Cards section. You can also Block the card in Axis Mobile App, by navigating to Banking -> Services -> Debit Cards -> Block & Replace Option. 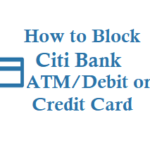 You can also do replacement of your debit card in any of the above method. 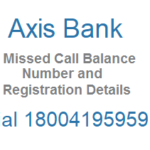 Block Axis bank credit card by dialing Axis Toll Free Number 18604195555 or 18605005555. You can log in to Axis Internet banking and block your axis credit card, and can also request for replacement of your credit card. You can now save a visit to the branch for replacing your Debit Card. Simply login to your Internet Banking account/Axis Mobile App and apply for replacement of your Debit Card or upgrade yourself with the ‘Upgrade Debit Card’ option. 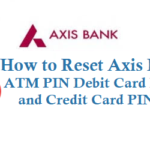 You can easily modify the usage preference on your chip Debit Card (from domestic to international and vice-versa) through any Axis Bank ATM/Axis Bank Phone Banking/Internet Banking.